This twenty-eight month program of combined academic and clinical education is intended for the student who has a baccalaureate degree in an area of study other than occupational therapy. It consists of 70 semester hours with 40 semester hours in professional undergraduate courses and 30 semester hours of graduate courses. 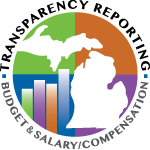 The Graduate Professional Program is offered through two sites, the main campus in Kalamazoo, Michigan and through the WMU Grand Rapids, Michigan location. The entry-level occupational therapy master’s degree programs are accredited by the Accreditation Council for Occupational Therapy Education (ACOTE) of the American Occupational Therapy Association (AOTA), located at 4720 Montgomery Lane, Suite 200, Bethesda, MD 20814-3449. ACOTE’s telephone number c/o AOTA is (301) 652- AOTA. Graduates of the program will be eligible to sit for the national certification examination for occupational therapists administered by the National Board for Certification in Occupational Therapy (NBCOT). After successful completion of this exam, the individual will be an Occupational Therapist, Registered (OTR). In addition, most states require licensure in order to practice; however, state licenses are usually based on the results of the NBCOT Certification Examination. Note that a felony conviction may affect a graduate’s ability to sit for the NBCOT certification examination or obtain state licensure. A cumulative grade point average of 3.0 or better in the most recent 60 hours of undergraduate and graduate academic course work. Official transcripts for all college work. All prerequisite courses must be completed at the time of application to the occupational therapy graduate program. Students may be enrolled in OT 2020: Orientation to Occupational Therapy at the time of application. Because admission is considered competitive, the academic criteria listed above should be considered as minimum standards. In the admission process, a formula is employed that assigns points for GPA and for the other admission topics. Admission to the program is based on the compilation of all points. Admission to the University does not guarantee admission to the professional occupational therapy curriculum. Official transcripts from all colleges and universities attended must be sent to the University Admissions Office in time to be processed prior to the department deadline. Occupational therapy is a profession that is regulated on national and state levels, and everyone who wishes to practice as an occupational therapist is required to pass the NBCOT Certification Exam after graduating from an accredited program. Individuals who have been convicted of a felony or who have been charged with a felony and convicted of a misdemeanor, while not prohibited from taking the NBCOT certification examination, may not be able to practice based on state laws. The following courses (with the WMU equivalent noted in parentheses) are required prerequisites for enrollment in the professional occupational therapy courses. All prerequisite courses must be completed at the time of application to the occupational therapy graduate program. Students may be enrolled in OT 2020: Orientation to Occupational Therapy at the time of application. enroll in and successfully complete HSV 3650: Information Literacy in the Health Sciences during the first semester of their OT coursework. 1. Completion of 42 hours of professional occupational therapy education. This 42-hour sequence of undergraduate professional education is designed to prepare the student to treat clients with various disabilities, and to be eligible for certification. OT 5730 - Therapeutic Use of Technology Credits: 3 hrs. OT 6400 - Theory in Occupational Therapy Credits: 3 hrs. OT 6600 - Research in OT I Credits: 3 hrs. OT 6610 - Research in OT II Credits: 3 hrs. OT 6860 - Graduate Seminar Credits: 3 hrs. Six months of full-time fieldwork is required as a student therapist in two clinical practice sites. Western Michigan University utilizes fieldwork sites primarily in Michigan and the mid-west states with some sites throughout the United States. All fieldwork must be completed within 24 months following the completion of academic course work. Students will complete all required OT courses with a grade of “C” or better. Students may repeat only one required professional course, and that course only once, to attain a grade of “C” or better. Note that a withdrawal from a course is considered an enrollment. Students who fail to attain a grade of “C” or better in a professional course will be placed on departmental probation. Students who do not successfully complete departmental probation will be dismissed from the program. A second unsuccessful enrollment will result in dismissal from the program. The student must manifest emotional and professional behaviors as described in the Occupational Therapy Department, Professional Behavior Policy. The student must comply with the Occupational Therapy Department Policy on Criminal Background Check. The student must comply with the Occupational Therapy Department Policy on Drug Screening. 1. Successful completion of OT 4750 is a prerequisite for OT 4820. The following courses are subject to the academic policy for remediation and continuance, and will repeat the experience in a similar setting. (OT 6900, OT 6910) are subject to the academic policy for remediation and continuance, and will repeat the experience in a similar setting. OT 6900 and OT 6910. Are subject to review in accordance with the departmental remediation and continuance policy. This advanced level program for the certified occupational therapist leads to the Master of Science in Occupational Therapy and is designed to enhance growth in professional leadership potential by developing skills in administration, program development, theories and practice, professional issue identification and resolution, and research. Certified as an occupational therapist by NBCOT. Because admission is considered competitive, the academic criteria listed above should be considered minimum standards. To apply, the applicant must complete both the Graduate College application for admission and the departmental application. Admission is on a rolling basis. An overall grade point average of at least 3.0 (A=4.0) is required for graduation from the graduate program. Students will complete all required departmental courses with a grade of “C” or better. Subsequent courses cannot be taken until prerequisites are completed successfully. Honor point deficiencies acquired in credits earned at Western Michigan University cannot be made up by any credits earned at another university. Please read the WMU Graduate College Catalog for information on other requirements for the completion of a master’s degree.